Updating your chargemaster in accordance with the major annual HCPCS code changes not only ensures your organization will receive accurate reimbursement for the year ahead, but also decreases the likelihood your staff will have to adjust inaccurate claims on the back end. Become familiar with the latest CPT® and HCPCS Level II codes now so your facility can begin restructuring its chargemaster to embrace the changes brought on by the 2018 code updates. 2018 also brings updates to the charge capture/trigger mechanisms and associated documentation templates in the EHR. It is additionally important to recognize the impacts of packaged payments and comprehensive ambulatory payment classifications (C-APC) on billing to ensure compliance before the 2018 outpatient prospective payment system (OPPS) final rule becomes effective on January 1. During this 90-minute on-demand webinar, expert speakers Valerie A. Rinkle, MPA, and Denise Williams, RN, COC, will break down critical chargemaster updates for 2018. They will walk participants through the latest coding and billing updates to ensure accurate coding and compliant billing. Get up to speed now on CPT and HCPCS code updates to ensure reporting of services in 2018 is correct the first time around. Valerie A. Rinkle, MPA, is the lead regulatory specialist and instructor for HCPro's Revenue Integrity and Chargemaster Boot Camp as well an instructor for the Medicare Boot Camp®—Hospital Version, Medicare Boot Camp®—Utilization Review Version, and Medicare Boot Camp®—Provider-Based Department Version. 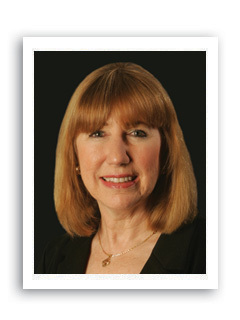 Rinkle is a former hospital revenue cycle director and has over 30 years of experience in the healthcare industry, including over 12 years of consulting experience in which she has spoken and advised on effective operational solutions for compliance with Medicare coverage, payment, and coding regulations. Denise Williams, RN, COC, is senior vice president of the revenue integrity division and compliance auditor at Revant Solutions. She has more than 30 years of healthcare experience, including a background in multiple areas of nursing. For the past 20 years, Williams has been in the field of coding and reimbursement and has performed numerous E/M, OP, surgical, ED, and observation coding chart reviews from the documentation, compliance, and reimbursement perspectives. 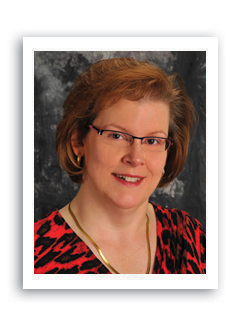 She is a nationally recognized speaker on various coding and reimbursement topics. Williams is also an AHIMA ICD-10 Ambassador.